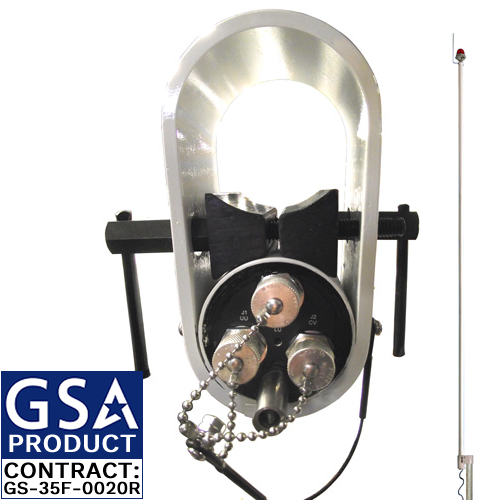 The D2296-OL-LED is an imron white VHF/VHF/UHF MULDIPOL™ omni-directional military antenna equipped with an obstruction light, specifically developed for air traffic control, ground-to-air, ground-air-ground, and naval applications. Both VHF input/outputs operate between 116 and 150 MHz, and the UHF from 225 to 400 MHz. D2296-OL-LED-EU - European Requirement Compliant LED Obstruction Light model.